There is an epidemic sweeping our society that destroys dreams and lives--an epidemic of giving up. Some people give up because they don't believe they deserve to win, while others surrender because they don't believe victory is truly possible. Quitting may seem easier than holding on and believing that God will show up, but just as it is never an option for a soldier in combat, giving up is not an option for the man or woman who stands on God's Word as a soldier in His army! Called to Battle, Destined to Win is a training manual for Christian soldiers, a guidebook for never giving up and never giving in. 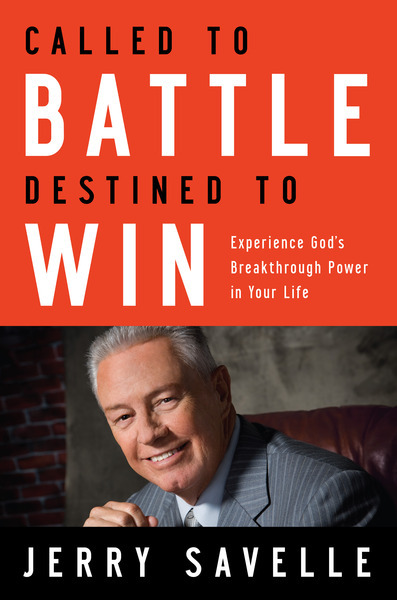 Dr. Jerry Savelle, who admits that he was once a quitter himself, writes candidly about his own experiences and challenges you to stand on the Word of God until victory is achieved. The pain, disappointments or failures in your past cannot overcome God's purposes for your life when you trust His promise that He will always show up when you refuse to back down. Victory is assured--and you are called to stand strong in faith, confident that God's power will make you a winner!